Each of us is connected to various people through 'energy strands' - energetic cords that link us to our environment and create an exchange and flow of energy between us. We can be connected via energy strands to people both from our present and our past. 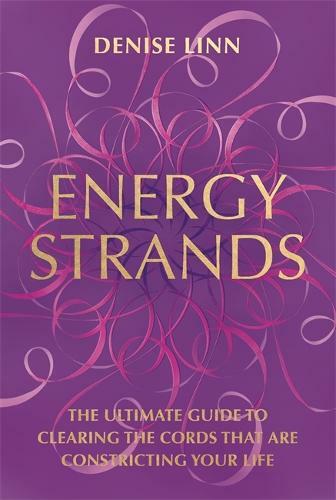 This book, by renowned author and self-development teacher Denise Linn, helps you discover the strands of energy that flow to and through you. She explains how we can have attachments to family, ancestors, friends, lovers, crowds and pets. Some energy strands allow us to feel vibrant and alive; others deplete and weaken us. Most of us are unaware of these energy strands, but we can usually feel them on a subconscious level. In Energy Strands, Denise Linn shares some of the methods she's learned over the years to release the cords that bind you and empower the strands that strengthen and heal you. You will learn practical tools to clear negative cords from unhealthy attachments, toxic relationships and spaces. This includes working with sound, breath, meditation and visualization. The ancient shamanic techniques in this book will support you in finding harmony and balance in your life through understanding these powerful lines of energy.